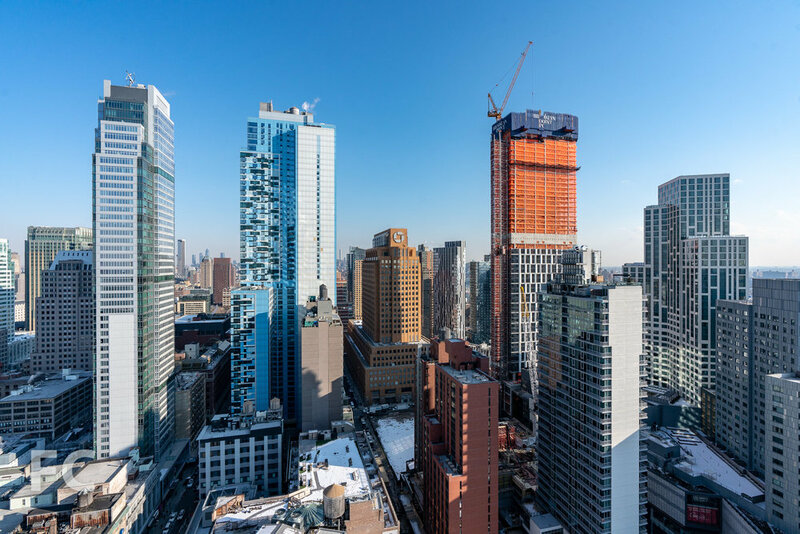 Facade installation is ongoing at Tishman Speyer’s 11 Hoyt residential condo tower in Downtown Brooklyn. 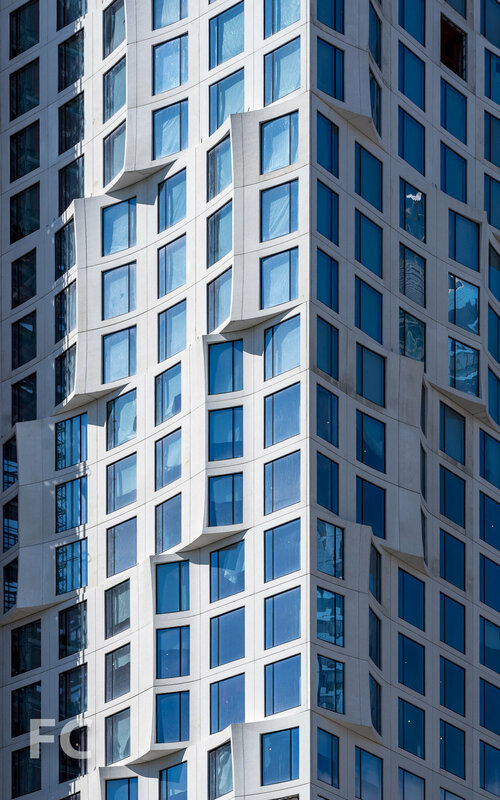 Designed by Studio Gang Architects, the 57-story tower features a facade of precast concrete panels shaped to create the scalloped edges that migrate across the tower like waves. The scalloped panels allow for the expansion of the living space and will provide built-in seating at the eight-foot-tall windows. 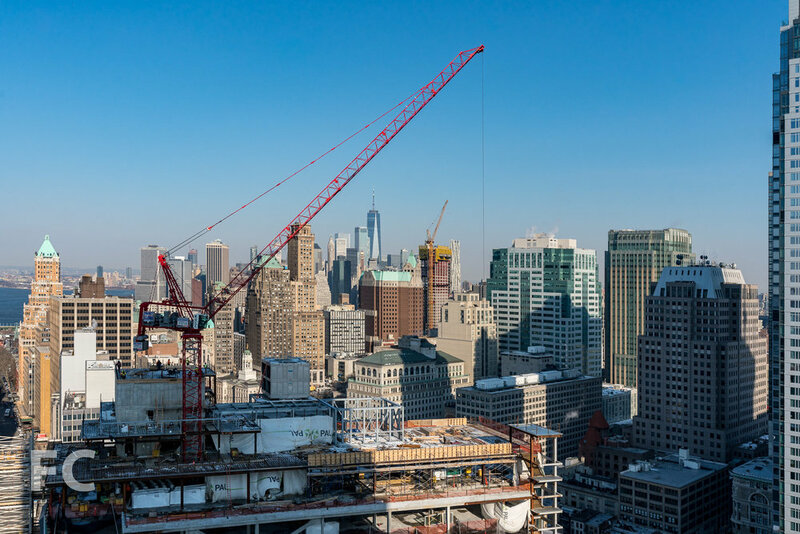 Superstructure has surpassed the three quarters mark and facade panels have been installed on the lower half of the tower. Sales are underway for the studio-to-four-bedroom condos. Southwest corner from Livingston Street. Southeast corner from Livingston Street. At the base of the tower, a third-floor Park Club will offer residents a fitness center, pool, spa, a co-working lounge, salon lounge, playroom, and adjacent private outdoor park. 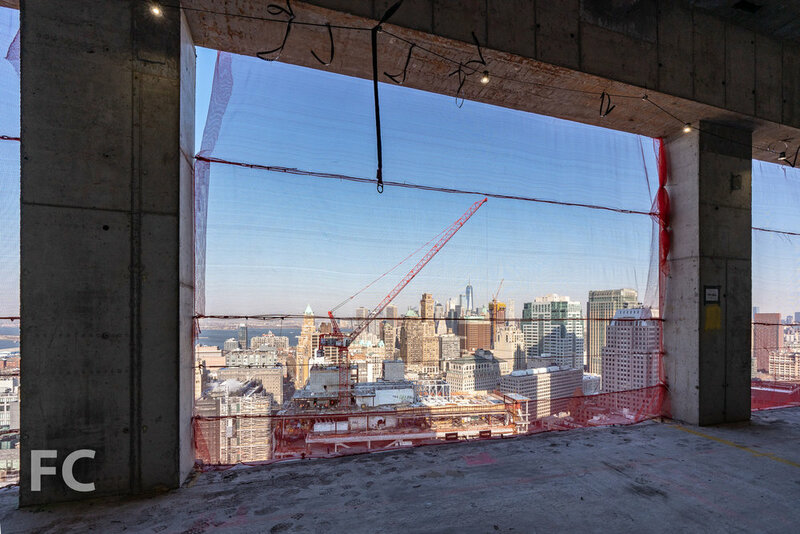 A Sky Club on the 32nd floor will feature private dining and entertainment spaces with panoramic views of Brooklyn and Manhattan. View west towards Lower Manhattan from the 32nd floor Sky Club. View north towards Downtown Brooklyn from the 32nd floor Sky Club. Architect: Studio Gang Architects; Interiors: Michaelis Boyd Associates; Landscape Architect: Hollander Design Landscape Architects; Developer: Tishman Speyer; Program: Residential; Location: Downtown Brooklyn, Brooklyn, NY; Completion: 2020.